It’s already October – benefit from your benefits before the year runs out! 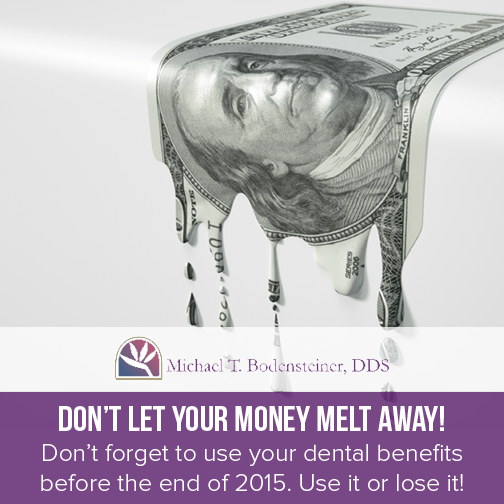 At Michael T. Bodensteiner DDS, our goal is to provide you with quality dental services, if in that process we can help you maximize your dental insurance coverage, utilize your flexible spending funds or contribute to your medical total for tax purposes; we will be pleased to do so. We are here to help you! Contact our Visalia dentist or call us at 559-635-0900 today to schedule your appointment. We look forward to seeing you soon!